High performance. Polypropylene backing reinforced with continuous glass yarn. Stain-resistant finish. 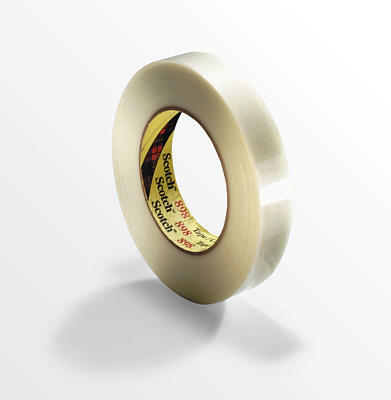 Typical 380 lb/inch width tensile strength with aggressive high shear adhesive for heavy-duty closure, reinforcing, and banding.